4:30am and the alarm was beeping. It was time to get up, get ready and pack the car! We left the house at 6am on the dot and headed straight down to Worthy Farm expecting to meet a lot of traffic on our way. Did we meet any I hear you ask? No we did not. Human traffic however was in the plenty when we queued up to get in! One emergency wee, 14 groans of heavy bags and 3 hours later we were through and ready to set camp in The Woodsies right behind the John Peel stage. As soon as the tents were up it was time to crack open the first beverage of the day and sit back and enjoy it! We spent a good few hours chilling out at our 5 day home then headed out into the site to explore! Or ‘Brothers Thursday’ as it’s referred to in our group! The boys went off for the day to drink Brothers cider and get all dressed up in fancy dress while us ladies headed off to do a bit of shopping…and tequila! This is the day that I bought my Indian headdress, a new silver ring and indulged in a steak with garlic chiabbatta! NOM! We met up with the fellas around 5pm and needless to say everyone was wasted, did that stop us playing drinking games in the tent while the rain pitter pattered against it? Hell no it did not! A couple of hours later (and a change of clothes for the lads) meant it was time to power onto Shangri-la! We had a ball dancing around and singing to a random covers band! They were pretty sweet! The music started! Hello tons of amazing bands and artists!! We saw Haim first and then continued our jam packed day with Beady Eye, The Lumineers, Half Moon Run, Peace, Alt J, Dizzee Rascal, Portishead and Crystal Castles! It was SUPER BUSY but totally worth it! We were shattered by the end of the day but lucky for us the weather was beautiful again and all the land had dried up! I’ve gotta admit that Alt J and Dissee Rascal was my favourites of the day, the atmosphere at these two performances were insane! Saturday was a little more chilled, we started with the 1975 which I loved! It was cool because we just got to relax and watch them sitting on the floor instead of being crammed near the front. Next up on The Other Stage was Dry The River, a band I had never seen live before! Just before they started Georgina turned to me and said ‘You’re totally going to cry’ and I was all ‘huh? I seriously doubt it! I only know one of their songs!’ Well needless to say 3 songs in and I was an emotional wreck! They were incredibly moving and they sang so beautifully! It really was an amazing experience to see them! I would recommend them to anyone! We then watched Half Moon Run again because they were just so god dam good the day before! This time the experience was more intimate and in a smaller tent (plus we were right at the front!!) it was fab! Back to the tent time to have a few beverages, get changed and have about 4 wees before the Rolling Stones kicked off! THEY WERE AWESOME! I’m so glad I can say I got to experience the stones! I even got on one of the guys shoulders at one point which let me tell you, was completely unreal! You could see SO MANY PEOPLE (around 180,000!) IT. WAS. EPIC. Of course every single one of those people needed to use the toilets after the performance which was a nightmare but once that was all taken care of it was over to Arcadia to see Fat Boy Slim DJ! It was hot, it was crazy but most of all it was immense! BOO! The last day 🙁 Me and James had to leave Sunday night because he had to be back at work on Monday! We totally made the most of our last day though and escaped all of the traffic on the way home! Bonus! Tip to anyone leaving on the Sunday, pack up all of your stuff in the afternoon and do the long trek to the car then! It was SO worth it by the end of the evening when we could just walk back to the car without being lugged down! First stop of the day? Bacon Roll. Second stop of the day? Shopping! It was then time for me to grab some pretty awesome tapas and a Brothers cider then head on over to John Peel to watch Tom O’Dell, we caught a bit of Kenny Rogers en route too! Tom O’dell killed it! He was ace! Plus he found out his album was number 1 during that set which was pretty awesome! Following on from him was James Blake and boy was there alot of bass! It completely added to the atmosphere though! Me and James then left the gang so I could watch Gabrielle Aplin for a few songs, I love her. I think she’s so sweet and she’s got such a chilling and beautiful voice! She sang the Power Of Love and I was almost crying again! 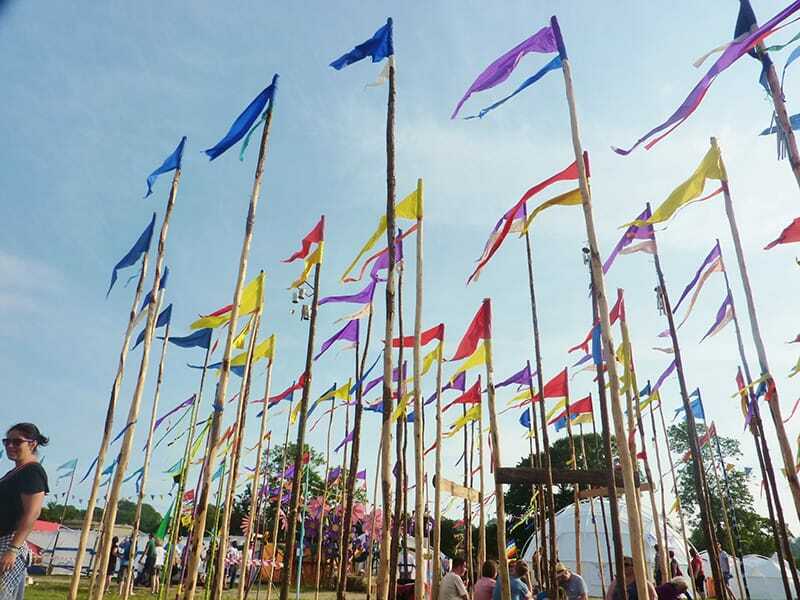 (What an emotional roller coaster Glasto was?!) It was then time to head back to the car but not before catching a few Mumford and Sons tracks while prancing around pretending to have a guitar! Again, they were incredible! I can honestly say that there wasn’t a single group of artist I watched that I thought ‘well that was crap’ every single person was outstanding in their own way! It really didn’t take us too long to get back home and I can’t even describe to you how bloody lovely that first shower was! Heavenly! I’d do it over and over again though, Glastonbury was an incredible experience like nothing else! Cheers to next year! Really enjoyed reading about your Glasto experience – I was there too but as an Oxfam steward so spent quite a bit of time on shift. Next year I’d like to go as a punter and do so much more 🙂 It was my first time at Glasto too and WOW take me back haha. I want to know how your hair looked so nice at the end without a shower! We had showers in the Oxfam camp and my hair still doesn’t look that good haha.